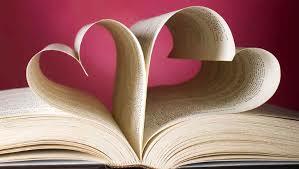 On Thursday, February 14th we will have a selection of free books to choose from with your purchase of $5.00 or more. And if, in the spirit of loving one another, one of your books is a donation to our Habitat for Humanity bookshelf, you can have TWO Blind Dates! Blind Date with a Book books will be wrapped with three clues to their subject matter and all include a coupon from our friends at Crave for a heart-shaped pizza dinner! Can you find one to love?